Archana Kamath and Supratim Nandi, participants from the 39th batch of PGDRM, the most recent batch of IRMA’s flagship programme, have secured Second position in National Finals of Explorica 3.0, a competition conducted by IIM Trichy. The event was held during the Annual Fest of IIM Trichy, Dhruva. The competition included a case study, involving decision-making on the future expansion of a real start-up. The judges for the event were the founders of the start-up. Supratim and Archana provided an in-depth analysis of a proposed new vertical for the start-up and also gave recommendations on the future opportunities and market strategies for the same. Both of them were awarded with a cash prize and Pre-Placements Interview (PPI) offers by the start-up. 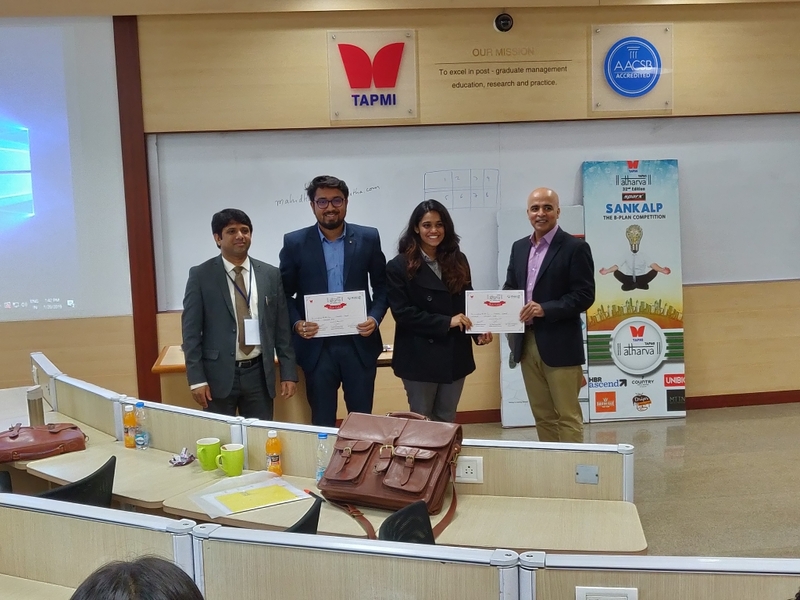 The team carried their winning streak to TA Pai Management Institute (TAPMI), where they were awarded a Special Prize in the National Finals of the B-Plan competition Sankalp, at the Annual Fest of TAPMI, Atharva 2019. They were adjudged winners in the Special Category, “Start-up with a Social Cause”.